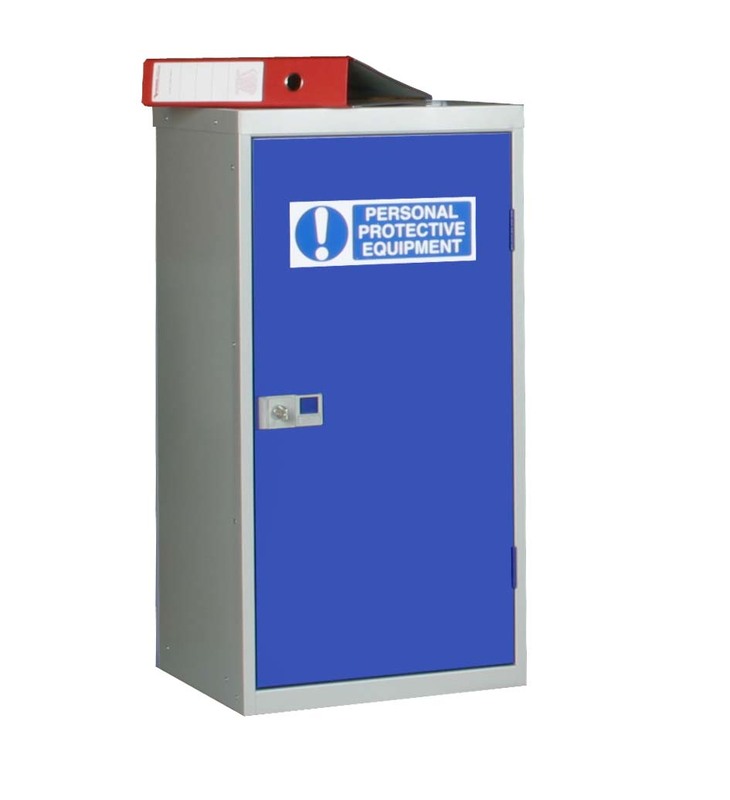 Many organisations are obliged to supply PPE storage cabinets to their work force for health and safety or hygiene reasons. PPE includes quite a wide range of different equipment such as ear protectors, goggles, hairnets, foot wear and overalls, PPE cupboards are needed to store the misc goods. 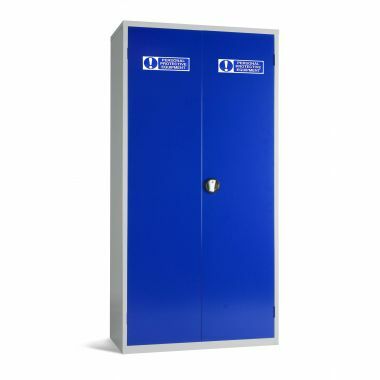 Our range of PPE storage cabinets provide a designated cabinet for the storage of PPE with a range of sizes to choose from. Along with PPE cabinets, we also sell wire mesh cabinets and roller shutter cabinets, which are a good alternatives. 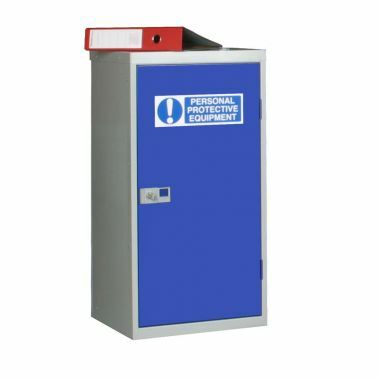 Why buy PPE Storage Cabinets? All PPE storage cabinets are clearly labelled giving a clearly defined point of storage for PPE equipment. Hard wearing cabinets and able to withstand heavy use even in industrial environments. 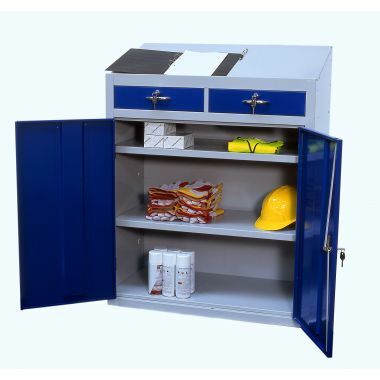 We also offer steel storage cabinets, which are strong like PPE cabinets. 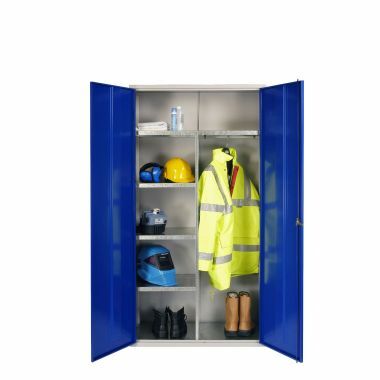 Available in all shapes and sizes, find your perfect PPE storage cabinet for your workplace. All our PPE cupboards and cabinets are lockable allowing equipment to be securely locked away when not required. Which PPE Cupboard should you buy? 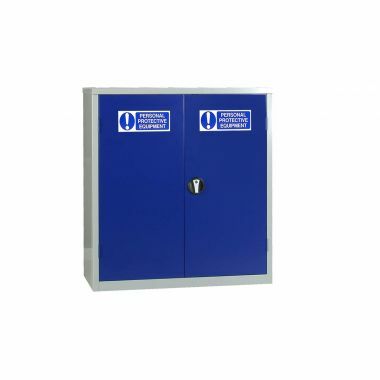 In summary we offer a good range of designated PPE storage cabinets, all of which are supplied in a blue finish with PPE labelling. We offer 6 different sizes, which includes a PPE workstation that offers storage and a lean on workstation. 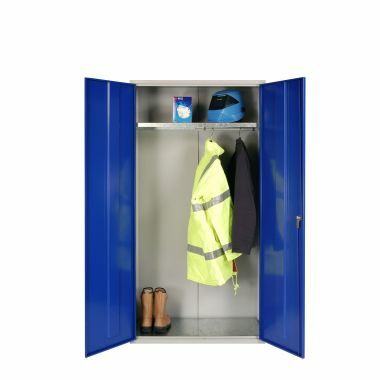 All our cabinets are lockable and are manufactured to industrial standards from hard wearing steel. Each PPE cabinet is supplied fully assembled and ready for use on arrival, no assembly is required.